I think we’ve all been there. Either hosting a party or bringing something tasty to one at a friend’s house. And then we forget or run out of time. 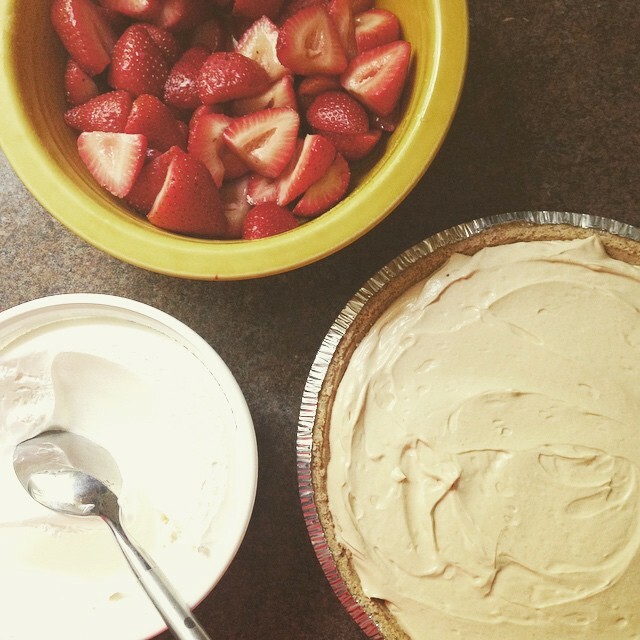 Yesterday we had our good friends over for Memorial Day, and I needed dessert -- in a flash. 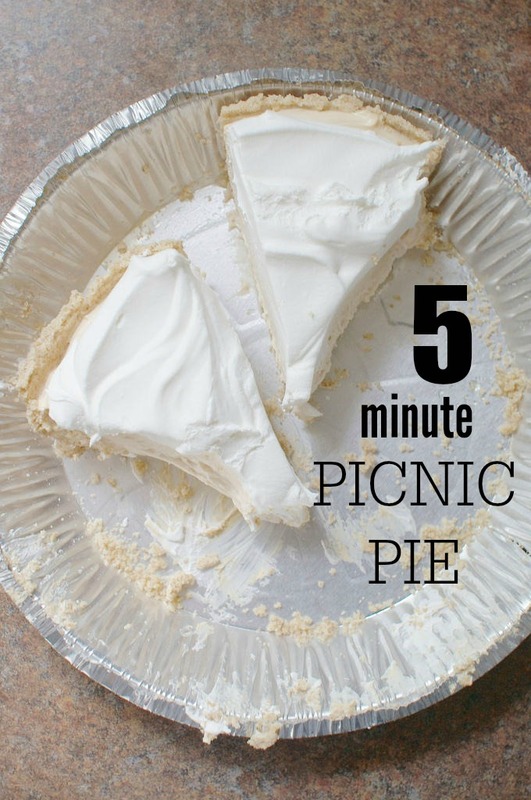 This pie is perfect for the summer season ahead. It’s fast (5 minutes to make). And it’s delicious . . . In a large bowl, whisk together the yogurt, peanut butter, maple syrup, vanilla extract, and cool whip. Pour mixture into your prepared crust. Spread evenly. Then let chill in the fridge. If you don’t have time, it’s OK to skip this step. Top with Cool Whip and serve with the sliced fruit. I used a store-bought crust. 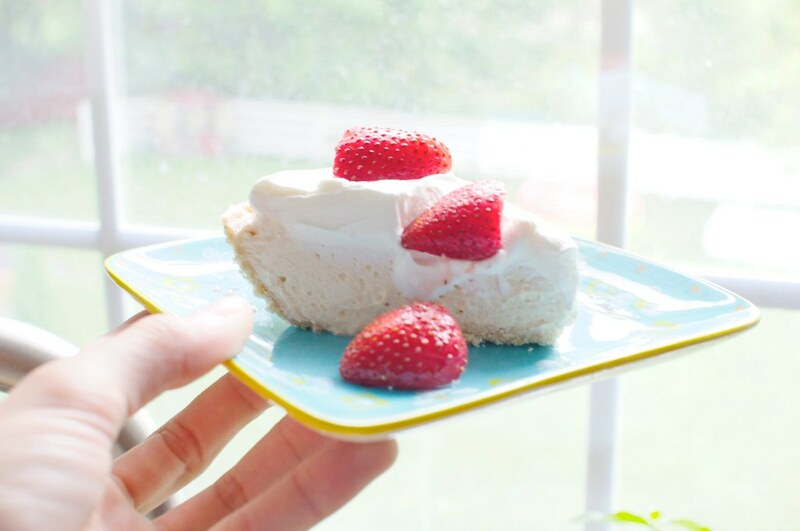 But you can make a graham cracker crust easily at home if you have the right ingredients. I used natural peanut butter, but the kind you don’t need to stir. I’m sure you could use any other nut butter or spread. I’m sure honey or agave could substitute for the maple syrup -- just taste test for the right amount. You don’t have to use Cool Whip. In fact, you can omit it from the pie if you’d rather a denser texture. Or you can use whipped cream or even whipped coconut cream. I’ve just always had a thing for Cool Whip at summer parties. If you’re doing berries, try tossing halved strawberries in a couple tablespoons of sugar and lemon juice a few hours before serving.